As a travel club full of photography lovers we are always interested in testing out the latest and greatest travel gear for travel photographers. Over the past 6 months we have been traveling with an awesome camera backpack. It’s very different from everything else on the market and is called the “Shape Shifter” by ThinkTank Photo. This company rocks, and sells all things photo gear for the everyday photographer up to the professional level. The founders of ThinkTank Photo are all professional photographers themselves, so each design has been crafted with practicality and best use practices by people who know exactly what we need. The Shape Shifter is a high contender in our search for the best camera backpack! First off, the Shape Shifter Camera Backpack truly is different than anything else out there. The unique design comes with many highlights but there are of course some drawbacks as well. We have highlighted our favorite things about the Shape Shifter along with some not so great limitations below. • It shape shifts: As the name states, this backpack can easily change in size based on what you need to carry making it ultra slim when the bodies and lenses are not being stored. 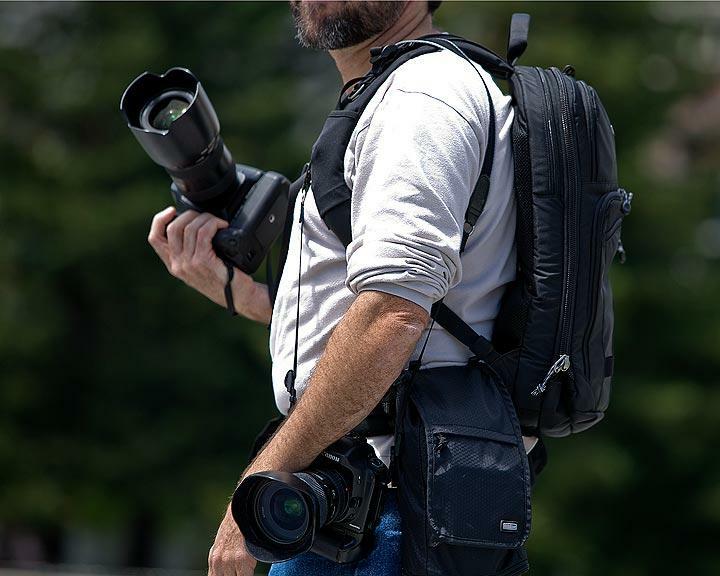 • Unique interior design: Traditional camera backpacks are very bulky due to the sturdy foam cushioning that separates compartments for lenses and camera bodies. 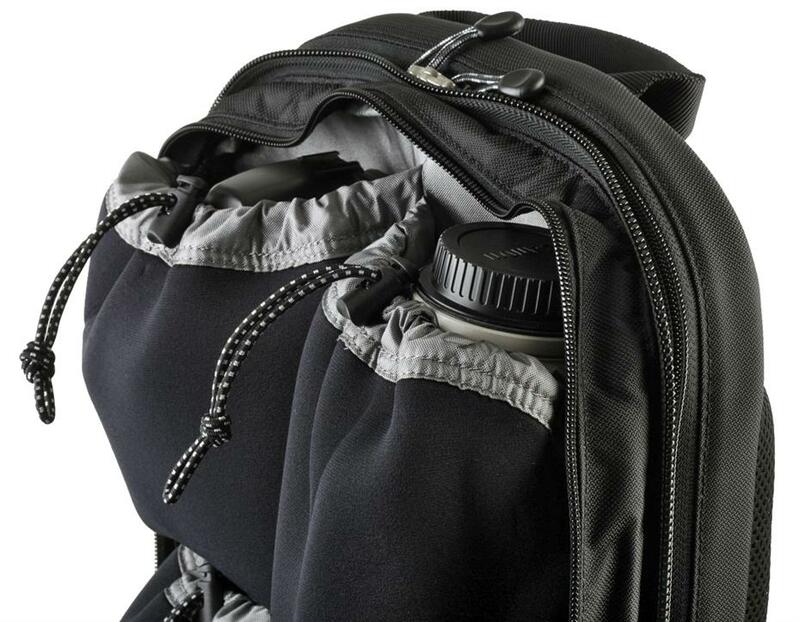 The Shape Shifter camera backpack uses soft “pockets” made from a cushion like material for adequate protection. The pocket style holders allow the bag to hold plenty of gear without taking up lots of bulk. • Laptop Compartment: We really like the large zippered compartment that fits up to a 17 inch laptop since we travel with ours on every group tour. This extra space comes in really handy while on international adventures and can be used to store anything if the laptop is not taking up the spot. 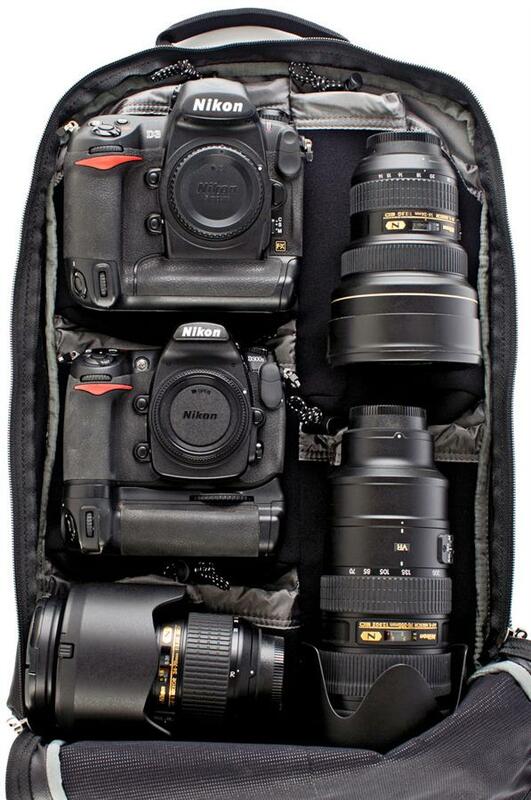 • Plenty of camera accessory space: The Shape Shifter also has one large and one medium sized front compartment for storing all the camera gear you could need including memory cards, batteries, chargers, etc. • It’s Comfortable: The back and shoulder padding is super thick making long treks with this bag very doable. • Lack’s Superior Protection: While we stated above that this camera backpack offers adequate lens and body protection, it could be better. If you are looking for a bag than can be dropped, stepped on, and really beaten up the Shape Shifter might not be the best choice. Because it can shift in size so drastically, it lacks the bulk which the average camera backpack uses for extra protection. • Limited Accessibility: The ThinkTank Shape Shifter is great for traveling and especially for long commutes like ours across the world. However, it lacks in accessibility when trying to grab a lens or body on the fly (no side pocket access). The only way to change lenses or get a different camera is by opening up the whole backpack from the top which requires taking it off completely. This can be a tedious process as we all know. Bottom Line: Buy the ThinkTank Shape Shifter backpack. It gets a solid A rating from PhotoFly Travel Club. After heavy use for 6 months it’s held up as good as any pack can. The quality material and heavy duty zippers are a must for world travel & photography lovers like us! 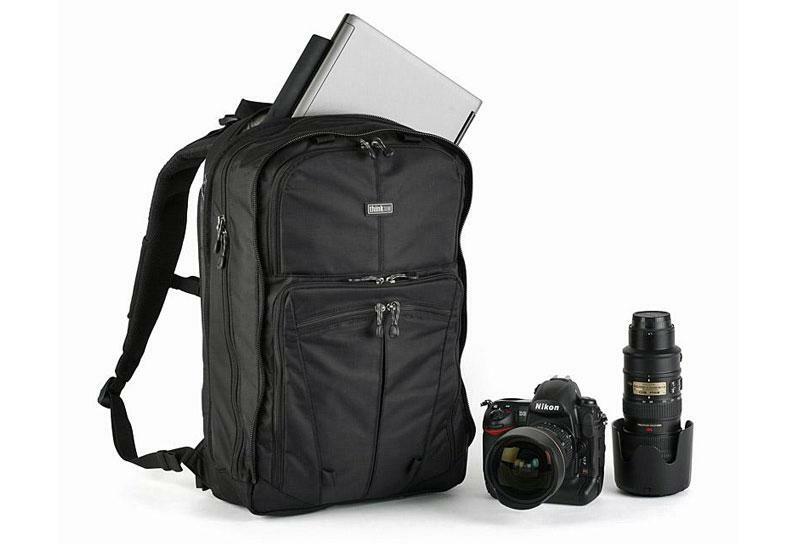 We have added another “best of” in our camera backpack reviews category.